These images change every 30 secs - hit refresh to re-load. Occasionally cameras are taken off-line when used by Highways England for operational purposes. 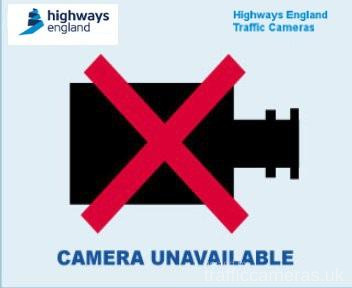 Unfortunately, during the road works a number of these cameras have been switched off. 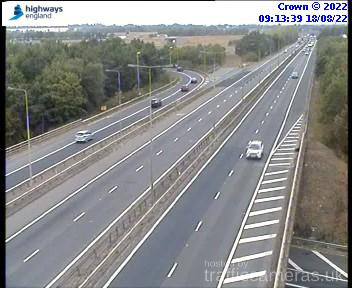 Image from the traffic camera on the M11, South of the Girton Interchangehttp://public.highwaystrafficcameras.co.uk/cctvpublicaccess/html/56906.html# - looking West - the lanes closest to the camera are the M11 southbound carriageway.